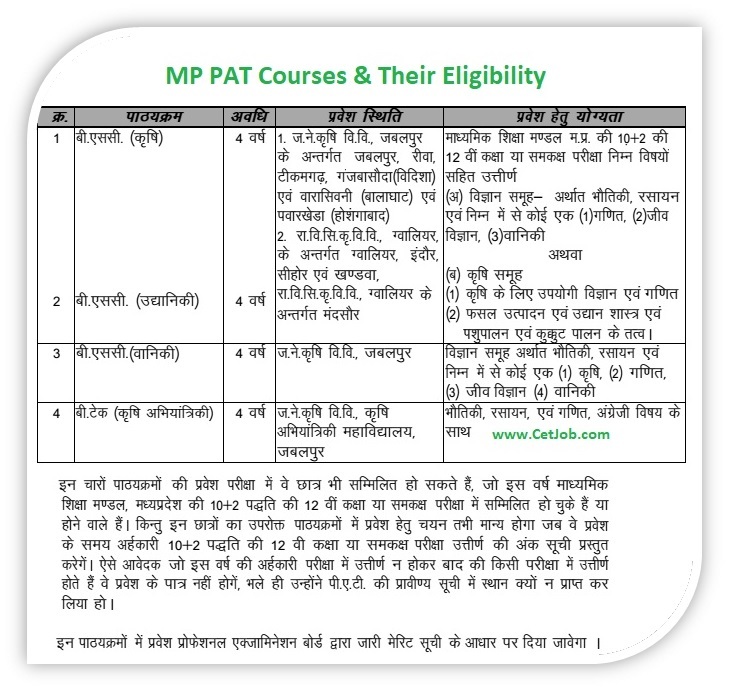 The MP PAT means MP Pre Agriculture Test is an entrance examination for those candidates who want to take admission into various Agriculture colleges across the Madhya Pradesh state, India. The MP Pre Agriculture test 2019 conducted by MP Professional examination Board, Bhopal. 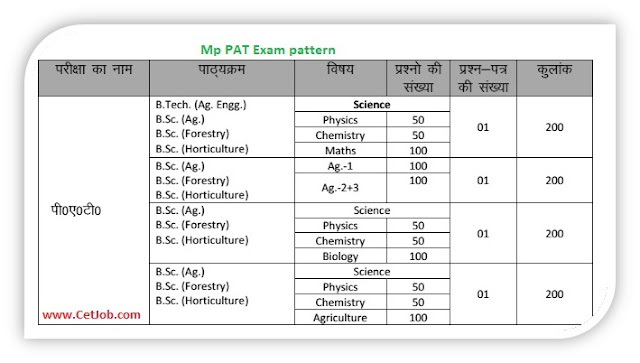 With the help of MP PAT 2019 exam the examination board gives the admission into various courses like Agriculture, Dairy and forestry. The courses are also known as BSc Agriculture, BSc Gardening, BSc Forestry and BTech Agriculture Engineering. There are very few colleges and University which provides these types of courses. 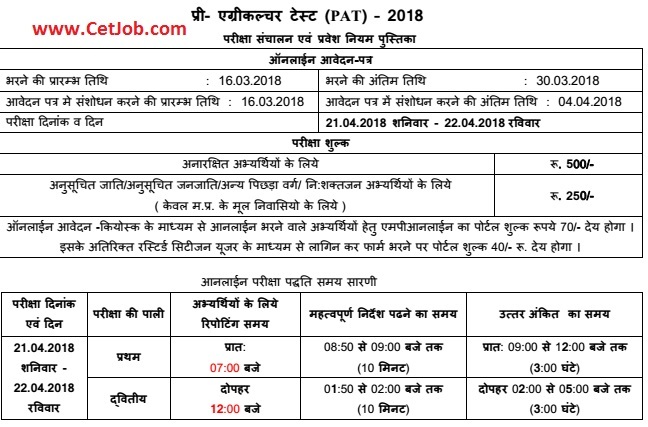 The BSc Agriculture offering Jabalpur, Rewa, Tikamgarh, Vidisha, Balaghat, Gwalior, Indore, Sihore, Khandwa colleges; BSc Gardening offers Mandsour college; BSc Forestry offers Jabalpur college; BTech in Agriculture Engineering offers Jabalpur college. In the Madhya Pradesh there are only two Agriculture University situated at Jabalpur and Gwalior city and named as Jawahar Lal Neharu Agriculture University (JNKVV JabalPur) and Rajmata Vijayaraje Scindia Krishi Vishwavidyalaya Gwalior (RVSKVV Gwalior). 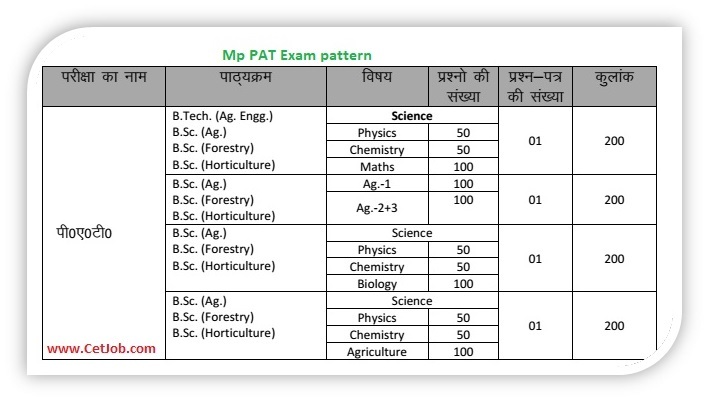 For the admission into various agriculture colleges please participate into MP PAT 2019 exam. MP PAT Syllabus: In the MP PAT exam there will be various types of subjects asked by MPPAT exam board in the MP PAT exam. There will be various subjects like Horticulture, Agriculture science, Maths, Physics, Biology, animal husbandry etc. For the admission into various colleges candidates must have fulfill their eligibility and choose according group. 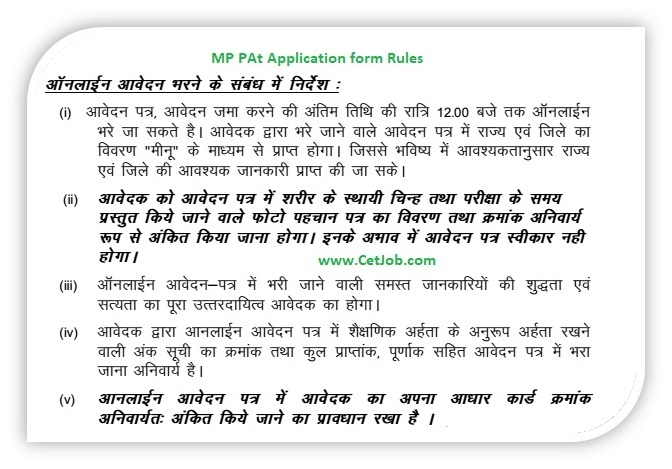 For specific group candidates must go through MP PAT syllabus according to group. 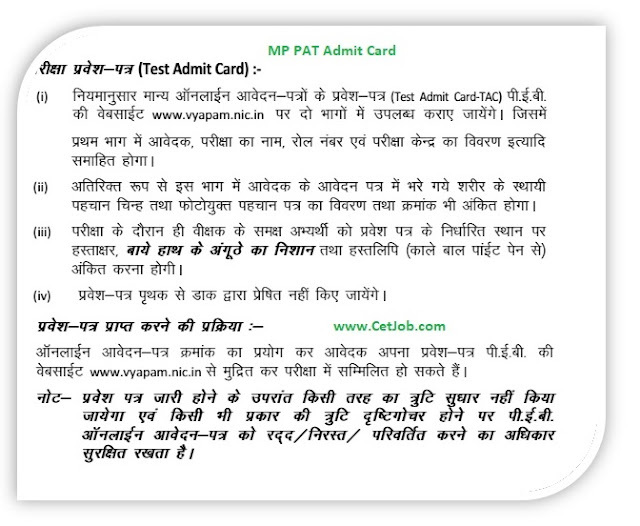 MP PAT Quota: It is very good news for those candidates who belongs to various category i.e. 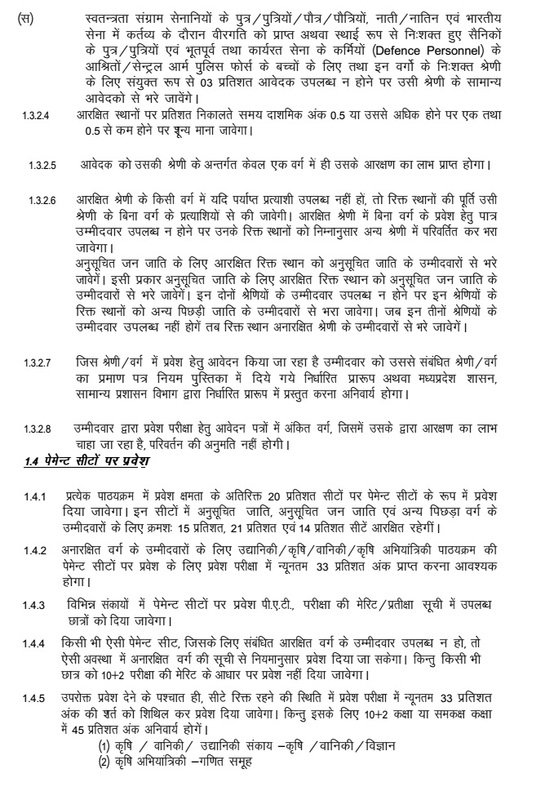 SC, ST, OBC, PH, Women’s, Freedom fighter, military candidates etc. The MP PAT reservation is based on according to MP government. MP PAT Counseling: After disclosing the MP PAT Results the MPPEB announced the schedule of MP PAT counseling at official website. With the help of MPPAT merit rank the counseling authority will give the admission into various courses. The MP PAT counseling should be starts from June 2019.